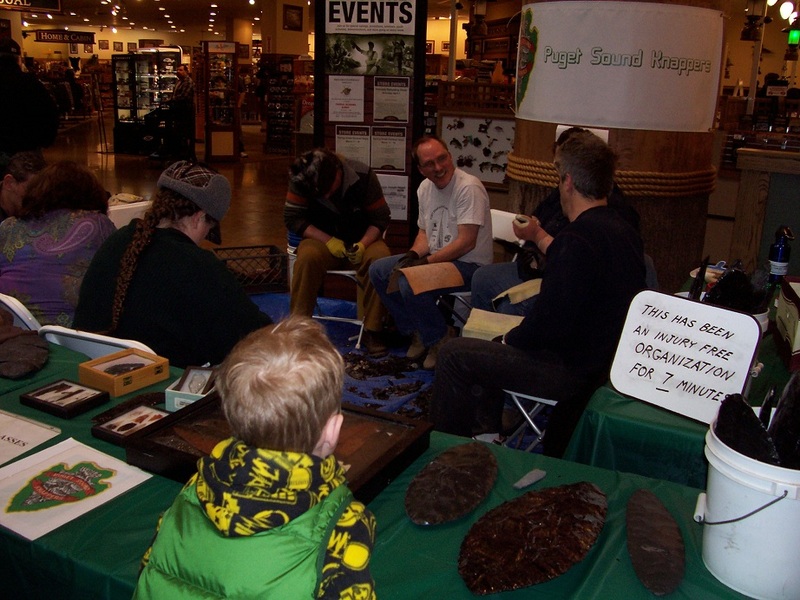 Once again the Puget Sound Knappers were invited to demonstrate flintknapping to Cabelas customers! 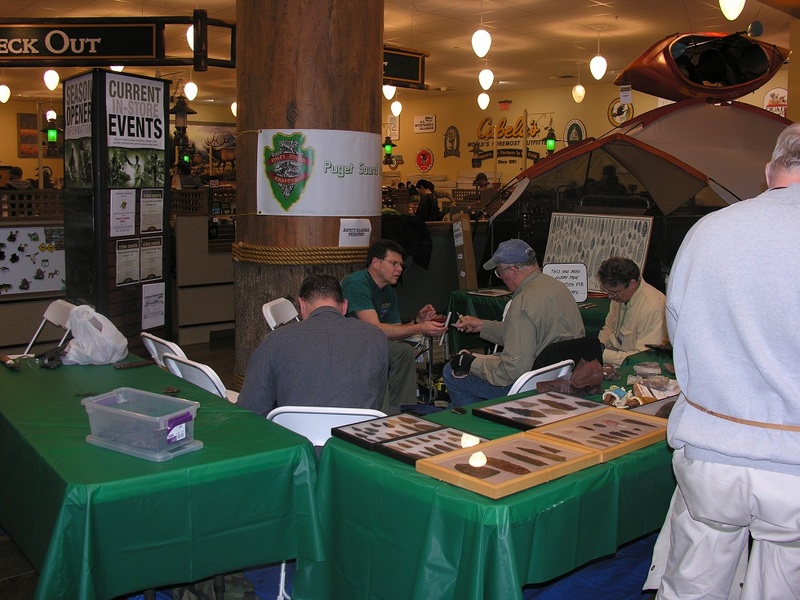 This time we were part of Cabelas Annual Spring Great Outdoor Days Event. Evidently we're doing something right as we got our favorite spot - just inside the entry doors! While the turnout of PSK knappers wasn't nearly as large as usual, most of the blame goes to the upcoming Glass Buttes Knap-in. Given a choice, many stay home making preparations for the long trip to the Buttes. 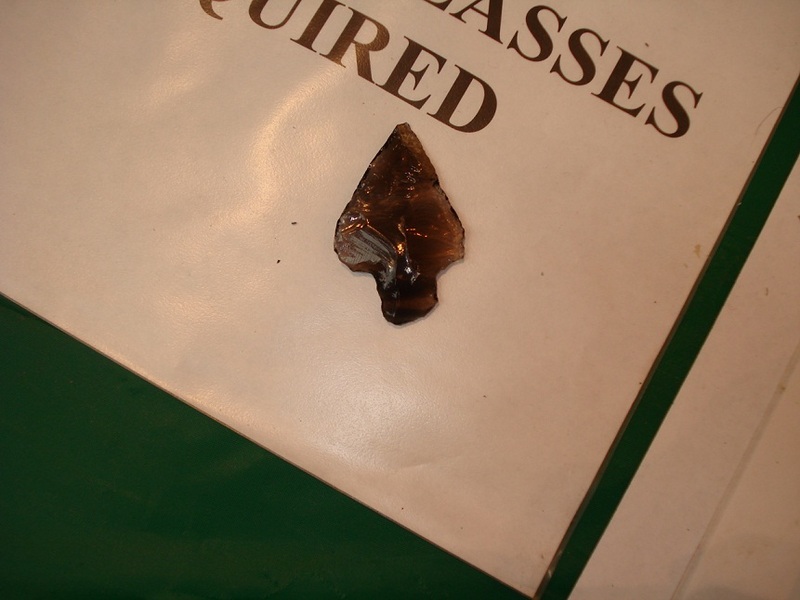 Still, eight to ten knappers arrived each day and managed to keep busy - demonstrating to the crowds, teaching an number of young and old the ancient art of flintknapping and answering thousands of question! 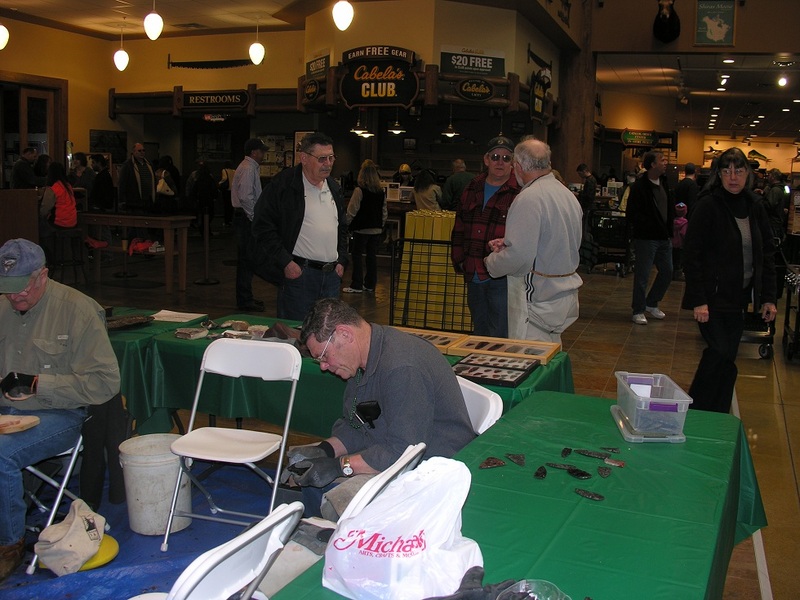 Cabelas on a 'normal' weekend see 5,000+ customers come through their doors. 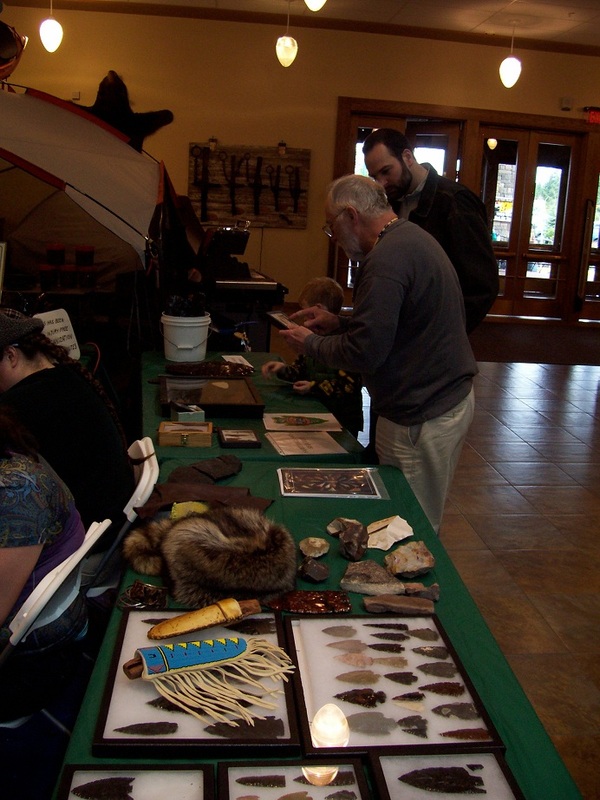 During the Spring Great Outdoors Days it is easily twice that - and it seems as though many, if not most, stopped by to watch, ask questions and some even tried their hand at knapping. 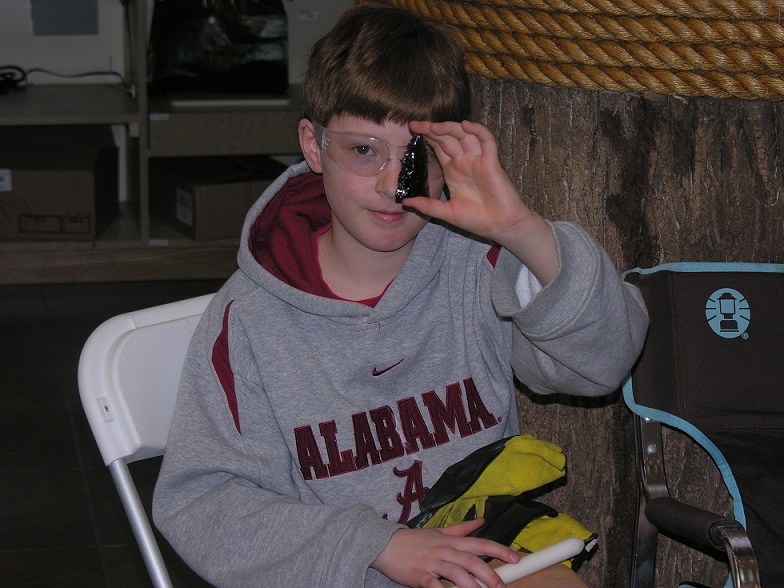 With plenty of free rock, loaner tools, safety glasses and gloves, we were able to have quite a number of folks get some 'hands-on' experience. 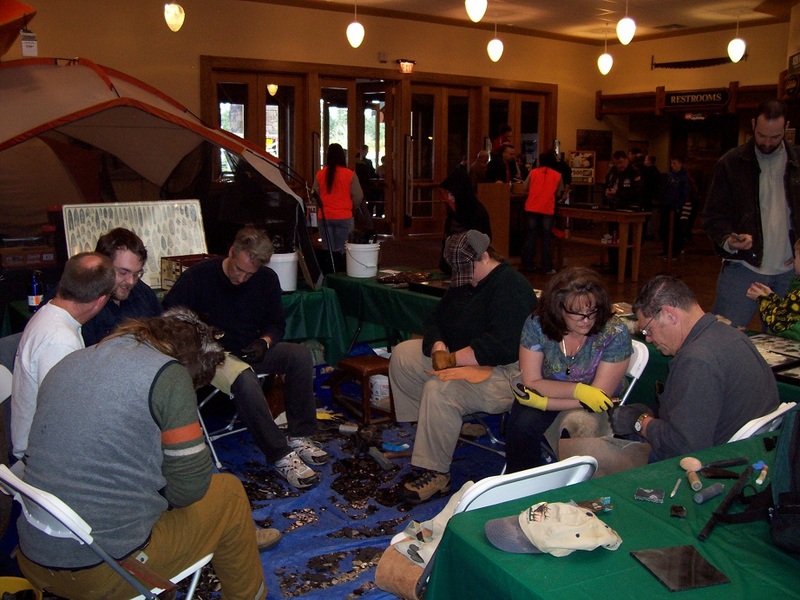 Free instruction from the likes of Jim Miller, Jim Smith, Jim Keffer (yeah - we have lots of Jims), Mick Hill and Donn Paris, kept the interest high and all of us knapping (or teaching). 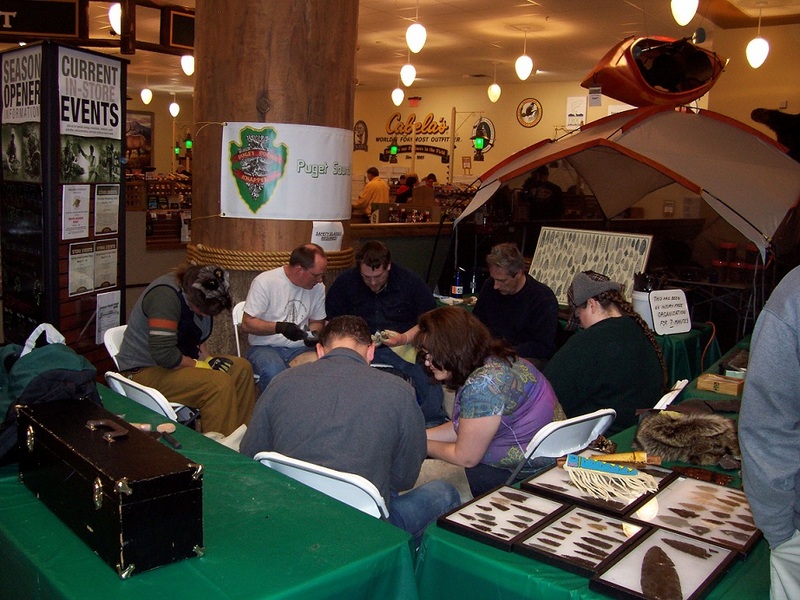 Several of those that joined us had made the trip to Cabelas just for the knapping and ended the day by becoming members of the PSK! It's really gratifying to create such interest in the young kids, especially when their parents are there encouraging them! The only sad thing is that we ran out or free points for the kids - we only had a little over 100 points and they were gone by about 1:00pm! 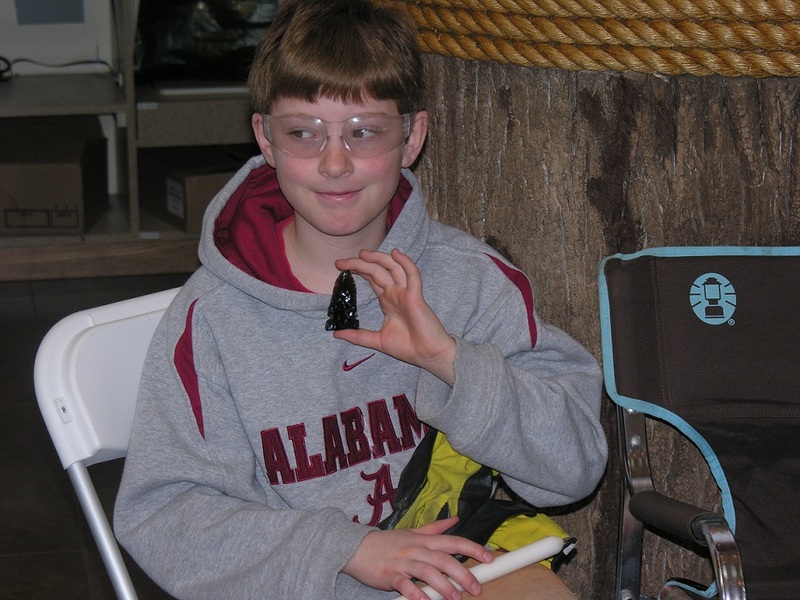 For PSK members it's all about passing along the art of flintknapping! Newest PSK Member, Bobby - First Point! Pretty Cool - huh Ma! Just after the doors opened! Jim smith explaining the 'finer points'! 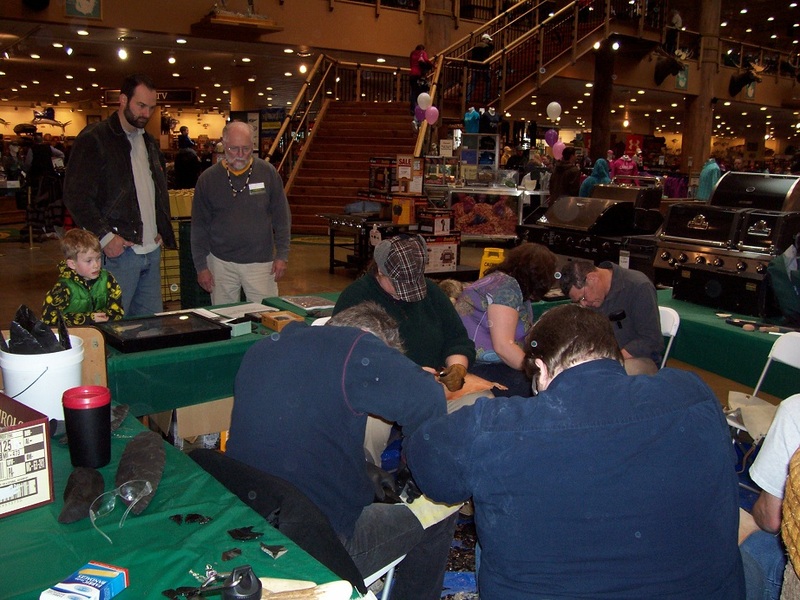 Sunday, the last of a two day 'mini' knap-in , started out just like the day before, lots of onlookers, folks with questions and people willing to try our 'hands-on' offer. One person who asked if she could try was, suprisingly. blind. Not one to turn away anyone with an interest in learning to flintknap, Mick Hill was more than up to the task! After an hour or so of real 'hands-on' instruction, this 'noobie' although blind, produce two easily recognizable points. Certainly much more recognizable as points than most noobies first points, your truly included! 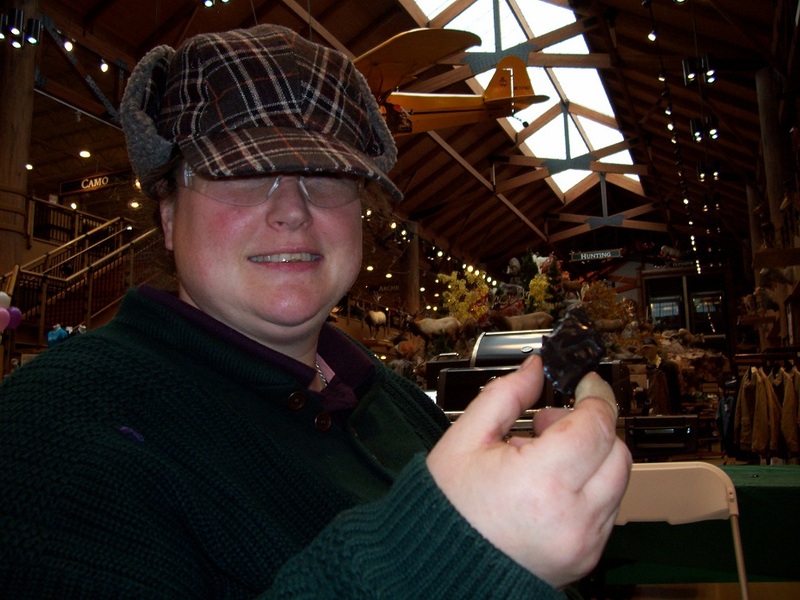 Now I know many great knappers and quite a few great knapping instructors. But I know darn few, if any, with more patience, dedication to their craft and commitment to helping others learn to knap, than Mick Hill. 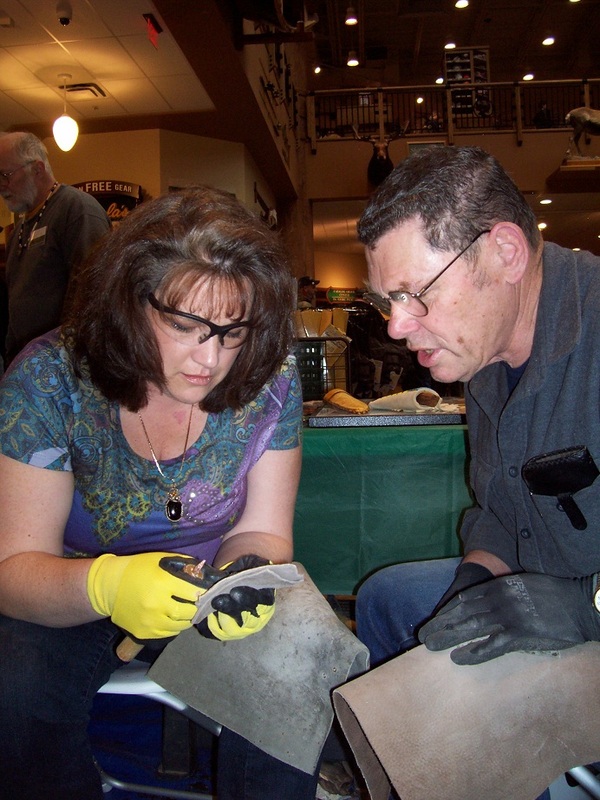 Recognized for his many contributions to the PSK over the last 20+ year, Mick continues to bring credit to himself, the PSK and to the knapping community in general!